The virtual desktop infrastructure (VDI) has not been given a rousing tick of approval by Gartner. The analyst organisation predicted that the adoption of VDI would drop from 30 percent in 2014 to a mere eight percent in 2017, and yet the hype around VDI continues unabated. So what is the reality? Is VDI a brilliant tool that assures the business cost savings and improved productivity and other such tasty treats, or is it merely an eight-percent solution that needs to be carefully edged out the door like that awkward uncle at the family party? "Gartner's forecast of eight percent for VDI adoption certainly shows a lack of optimism, but I believe there are two ways in which to view this number," says Brian Timperley, MD, Turrito Networks. "If you define cloud as a spinoff of VDI, then eight percent is too low because the essence of VDI in the form of cloud will enjoy substantial growth. If you define it against its original parameters and the idea of having an actual virtual desktop through a traditional thin computer, then it's a realistic statistic." VDI has been around for some time and implementations have had their fair share of challenges and disappointments. When the virtual desktop was first introduced, cloud computing as it stands today was not a daily reality and the VDI value was found in the centralisation of applications, computing and storage. The potential was there - through leverage existing hardware assets, reducing the number of servers, centralising management operations, cutting back on licensing costs and driving security, the VDI could change cost and productivity implications for the organisation. "The challenges that have resulted in the slower uptake of VDI include a poor user experience, the off-line issue, the cost of storage and the cost of the thin client," says Marcello Pompa, New Business Development and Key Account manager at Argility. "However, like any technology, VDI is maturing and is now into the next generation VDI 2.0. It now offers the hyper-converged infrastructure (HCI), the cloud and on-demand VDI environments that are changing the way in which VDI is managed." HCI allows for the convergence of all the components across disk, operating system and application into one infrastructure. This results in easier implementation, a reduced total cost of ownership as all components live in one logical view, scalability and no need for specialised resources to manage different components. Developments in cloud have now allowed for the on-demand VDI environment that is created when needed, has instant cost savings and delivers on the promise of high-speed access from anywhere, at any time. "VDI has grown into a business mobility solution, an all-encompassing platform that can deliver the right services, data and apps to the user, regardless of the device and location of the device or user," says Nick Black, Territory manager SADC, VMware Southern Africa. "What is now driving end-user computing is the introduction of cost-effective - CAPEX and OPEX - hardware designed for desktop workloads, namely HCI. These offerings combine compute, network and storage in a small form factor that is purpose-built, optimised and secured and it is this that has reinvigorated the VDI market. HCI and cloud have dropped the costs and raised the game. Today, VDI no longer sits as merely a desktop interface as services can be delivered via apps that have direct links to related data through a combination of technologies that draw from a single point of consolidation, optimisation and management. VDI has evolved and its definition is as mercurial as the technology that's shaping it; it has started to become a far more elegant and graceful experience than the clumsy implementations of yesterday. Ken Marsden, CTO, VMXperts, adds: "Desktop virtualisation is only a small component of a bigger solution set that includes SaaS applications (Software as a Service), application virtualisation, mobile device management and data security components. All these components combine to form a seamless experience for the corporate end-user. VDI is becoming part of a bigger ecosystem and the digital workspace will provide a platform where no matter what device a user has, they will be able to access or run any application with the same experience." It is likely that VDI will become part of the standard technology stack of the future, especially for organisations that are looking to benefit from the advancements of cloud technology and implementation. VDI's potential is finally on the cusp of being realised, but not on its own. Rather, it is part of an amalgamation of technologies that create one cohesive ecosystem that is tailored for each business and its individual requirements. "Efficiency, scalability and cost-effectiveness will forever be the issues that decision-makers focus on, and VDI provides those," says Richard Vester, director of Cloud Services, EOH. "It's a fit-for-purpose solution that suits certain industries better than others and will continue growing within those niches. The biggest benefit of VDI is that companies can provide applications and data to a user, rather than a device." Perhaps it's time to mourn the passing of the traditional VDI. Its potential was there, but never quite realised. Today, however, its evolution taps into that potential and delivers on the original promise. VDI is dead, long live VDI. It's all in the numbers. * South African mining group Exxaro saved R5 million per year with a Citrix VDI infrastructure implementation, which supports BYOD. "The bottom line is that securely delivering applications that are relevant, using as little infrastructure as possible, is what is now valued by customers. Whether the interface looks like a desktop or not is no longer important." 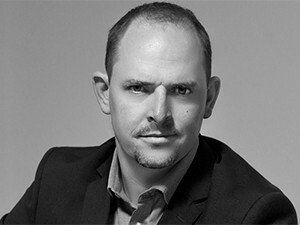 Nick Black, Territory manager SADC, VMware Southern Africa. The virtual desktop infrastructure is changing face and pace, shifting from the clunky to the connected. The virtual desktop infrastructure (VDI) has, like any other form of technology, been forced to evolve. What it promised in the past was rarely what it could deliver in practice. Today, however, thanks to mobility and cloud and cost, VDI has become a powerful tool for the organisation in search of thin clients, increased mobility and greater control over computing environments. This change is being driven by more than just cloud; it is also powered by people and the ways in which businesses are engaging with technologies and solutions. "Mobility is undoubtedly changing the way in which people work and the way in which IT can support evolving workstyles and behaviour," says Brendan McAravey, country manager, Citrix South Africa. "As we see the mobility strategy of different enterprises maturing, simultaneously consumer technology is showing us that it's apps and data that really matter." In the past, a VDI infrastructure demanded a big budget and advanced skills; now the app and the internet are making it easier to create customised and cheaper desktops. This is being further driven by the ways in which people use these technologies. Anyone can access the same level of technology through cloud and 'as a service' solutions. Organisations of any size can tap into the VDI capabilities previously limited to only those with cash and connections. In addition to this, the traditional model of the employee working at the office on a corporate device has undergone a dramatic change. For many years, no headline would be complete without 'BYOD' blaring from its fonts. Now, it's so inherent in the business structure that the questions are more about how to improve it than how to integrate it. "The diverse workforce wants to work from anywhere on any device," adds McAravey. "These new requirements bring new challenges, from providing contract workers with secure remote access to supporting an influx of personal devices. Application and desktop virtualisation help address these concerns by allowing an organisation to centralise apps and desktops in the datacentre and securely deliver them to users on demand, to any device, anywhere." Desktop virtualisation allows the business to streamline management and costs by consolidating and centralising desktops and apps while delivering end-user mobility and freedom to access virtual desktops at any time. It is the creation of a more flexible workplace for employees and enables IT departments to manage IT infrastructure more effectively and simplifies ongoing desktop management and updates while reducing long-term maintenance costs. "VDI is transformational because of the flexibility it offers," says Richard Vester, director of Cloud Services, EOH. "With people using multiple devices on multiple platforms, and with many businesses employing a mobile workforce, providing access to all the data and applications required has become a headache. VDI makes it quicker and cheaper to load everything employees need and stops the risk of shadow IT." The transformational benefits of VDI within specific-industry niches can also potentially be far greater than just cost. Vester adds a great example: "Call centres can be provisioned, managed and updated in a much faster time and VDI allows for smarter collection and use of customer data in customer experience initiatives and the like." Cloud-based management tools are also playing a role in the shift of VDI from burden to benefit. Management of VDI systems has often been perceived as a complex and difficult task, but with cloud-based management functionalities, this has changed as VDI has become, in effect, a self-service solution. Provisioning, scaling and monitoring can now all be done in one central space and this is making a big difference to how the IT department views this technology. Ken Marsden, CTO, VMXperts, concludes: "VDI is an important enabler for improving the end-user experience and new technologies being brought into the market are enabling its easier deployment and integration into the business. The technology can reduce complexity and operational cost in an organisation and, used in conjunction with mobile management technology, it can extend the reach of the datacentre beyond the corporate firewall. VDI is also part of the new mobile paradigm where a workforce can be remote and still be able to contribute towards business productivity within the controls and parameters of the business requirements." This article was first published in the May 2016 edition of ITWeb Brainstorm magazine. To read more, go to the Brainstorm website.